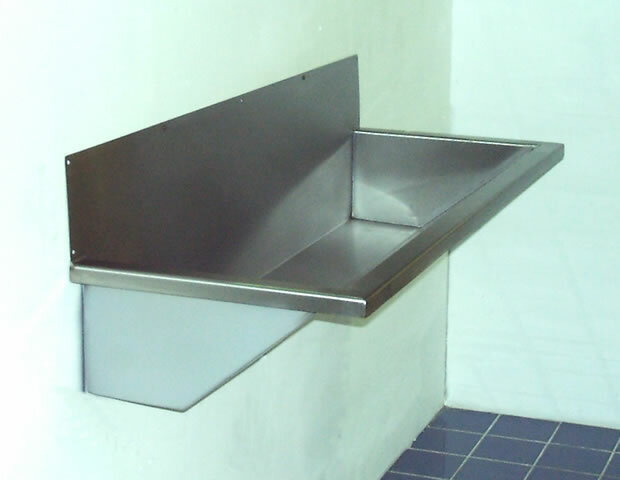 Wall mounted wash troughs are provided with a tap landing and pairs of tap holes for deck mounted taps (WTTL) or alternatively with a 150mm splash back to rear for use with wall mounted taps (WTSB). Also supplied is a 38mm (1½"BSP) flush grated waste fitting to one end. Delivery time is usually 7 to 10 working days from order for standard sizes and tap hole configurations, with free packing and carriage to the UK Mainland on orders over £250.00 + vat. 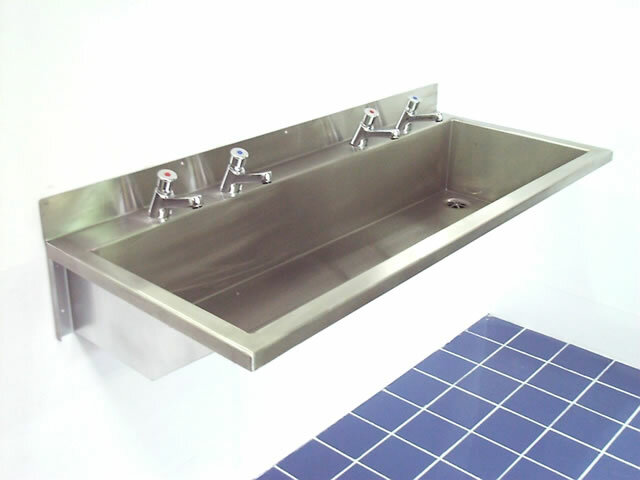 Non standard sizes and configurations (mixer or single tap holes, front support legs etc) are available in about 10 working days.